Wrapping up. at Wootpedia: The Video Game Event Encyclopedia! Wrapping up your LAN Party. Wrapping up is more than just showing everyone the door. As a host, it is your duty to make sure you're the first one there, and last one to leave. A happy host at the end of the party leaves your guests with a happy feeling, making them eagerly anticipate the next one. If you plan on another event, make sure everyone knows about it. Having a small closing ceremony is a great way to wrap up a party. Keep it short and sweet. This is a good opportunity to ask everyone to clean up their trash and say thanks. Before you head home to crash, make sure the following is taken care of. Fellow guests will usually be happy to help you clean or put tables away while they are waiting for their ride or packing up, so enlist their help and delegate if you need to. Power and ethernet cables wound up. Everyone's possessions are accounted for. Trash cleaned up. Especially food. Tables cleaned. Tables and chairs put away if needed. Show your guests some love. Make sure your guests understand that you are completely stoked that they came to your LAN party. If you had a great time throwing the LAN party of a lifetime for them, they're likely to come back for the next new and improved version! This could be as simple as dropping them an email on your event mailing list, or doing shout outs on your wrap-up page, or even hitting them up with a phone call to each person. Getting feedback for the next event. Make sure you ask your guests what they liked and did not like about the event. Most are willing to tell you what they think would be great for next time. One of the best ways to promote your LAN party is to get information out about the one you just had. Upload your photos to your website and social networking pages, and other related gaming news sites and communities. Attendee love to see and share photos of an event they were just at! As you're getting your pages ready with information about the last LAN party, don't forget to let your guests know about your NEXT one. LAN parties are built with momentum and they are built on community. If you drop communication with your people, they'll think your event is dead, and you'll be rebuilding every time. 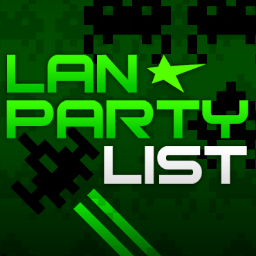 Post the news and get the word out on your website, mailing list and right here at LAN Party List.